The number above this cunning kitty gets smaller as you attack. It heals itself so defeat it quickly before you find yourself a cat on a hot tin roof! 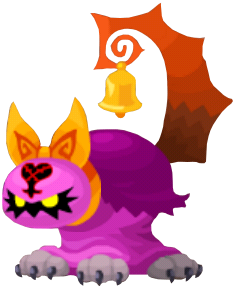 The Wily Cat is a Heartless that appeared in Kingdom Hearts Union χ. It sometimes accompanies the Mean Maiden boss.